This is the one cookie that everyone in my immediate family loves. 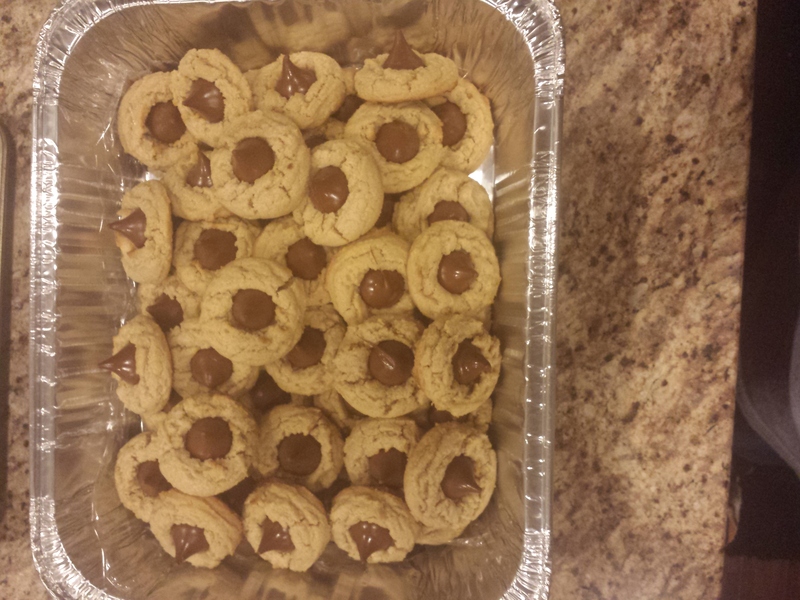 Somewhere around this house, I have a video from years ago when I was baking with my nieces and we were making these peanut butter blossoms, with a Mariah Carey cd playing in the background. It’s a great memory of baking with them. If I ever come across it, I probably should try to transfer it to a cd to save it from videotape deterioration. 1.Unwrap 48-60 Hershey kisses and set aside in a bowl. 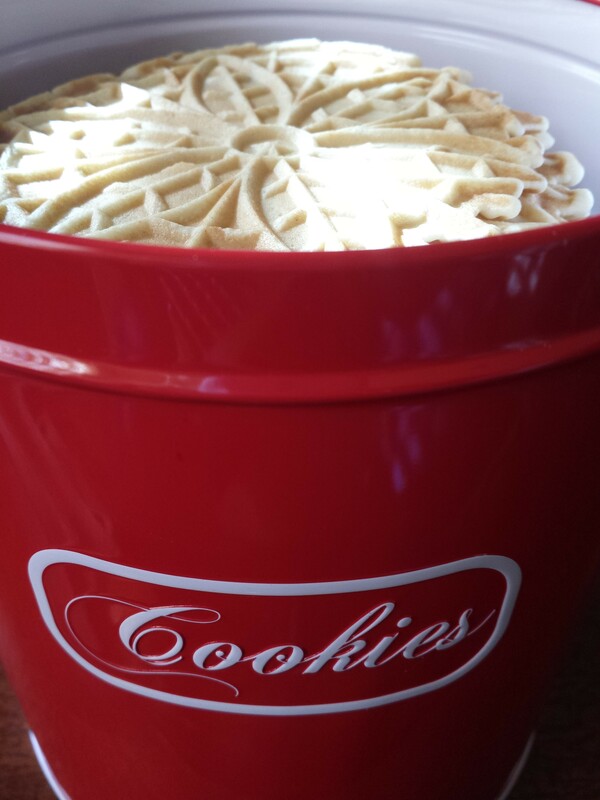 The size of your cookies determines how many your batch can make. 3. Cream together the butter, vanilla, white sugar and brown sugar. 5. Stir in peanut butter. 6. 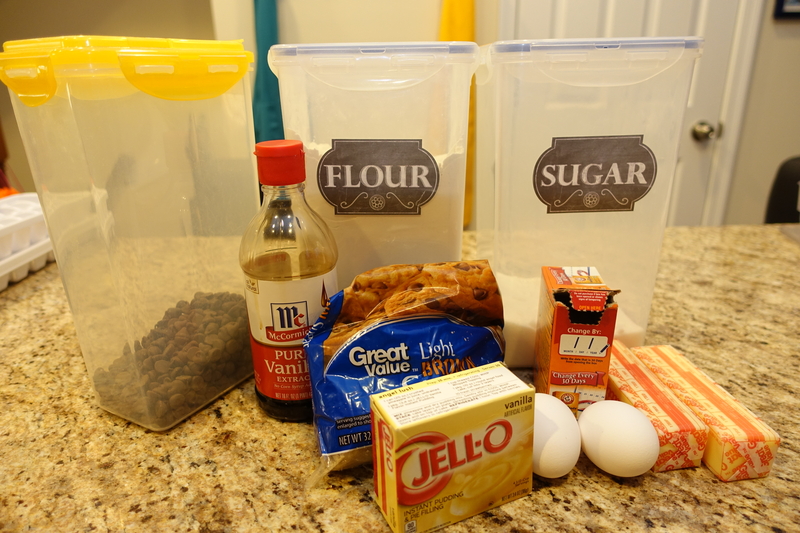 Mix in the dry ingredients (flour, baking soda and salt). 7. 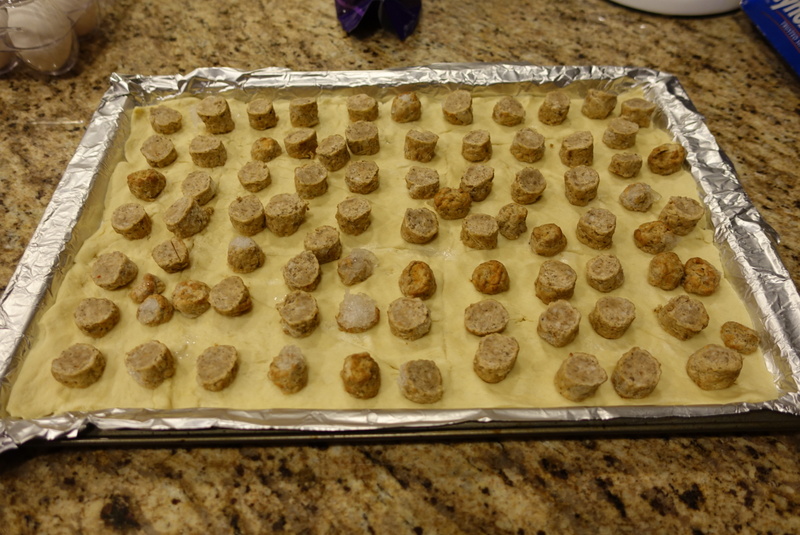 Scoop using a small cookie scooper onto a aluminum foil-covered cookie sheet, 12 cookies will fit if spaced evenly. 8. Bake for 6 1/2 to 7 minutes. I used to do 7 minutes when I had an electric oven but now that I have a gas oven, they were burnt at 7 minutes, so I now take them out at 6 1/2 minutes. 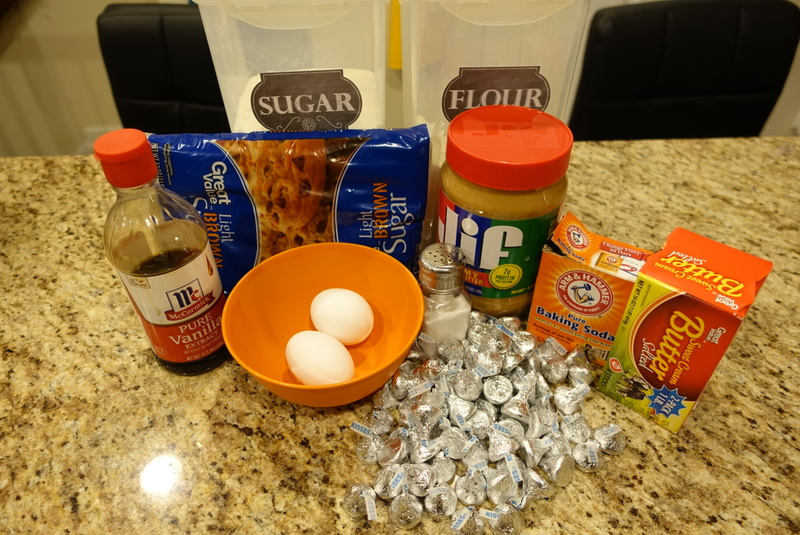 Peanut butter burns quickly so you have to keep an eye on these cookies to keep from ruining them. I received this recipe years ago from a college friend’s wife after someone’s baby shower. It reminds me of a sausage, egg, and cheese breakfast sandwich from Burger King. It’s very easy to make and convenient to have available when you need a quick breakfast in the mornings. I used to make it for my nieces on Christmas morning when they lived with me as kids, so they would have something handy and quick to eat before opening their Christmas presents. You know it’s hard to hold kids back on Christmas morning! All of my nieces are adults now, and parents themselves. I don’t know if they’ve ever made this for their kids or not, but I believe they’ve all made it before for themselves with their parents. *Make sure the oven rack is in the center of the oven. If the rack is too low, the bottom will burn and if the rack is too high, the bottom won’t cook through. *Pre-heat oven – 350 degrees. *Cover cookie sheet with the non-stick foil. *Cover foil with 1 whole can plus 1/2 of the second can of crescent roll dough, making sure the dough goes to the edge of the cookie sheet. 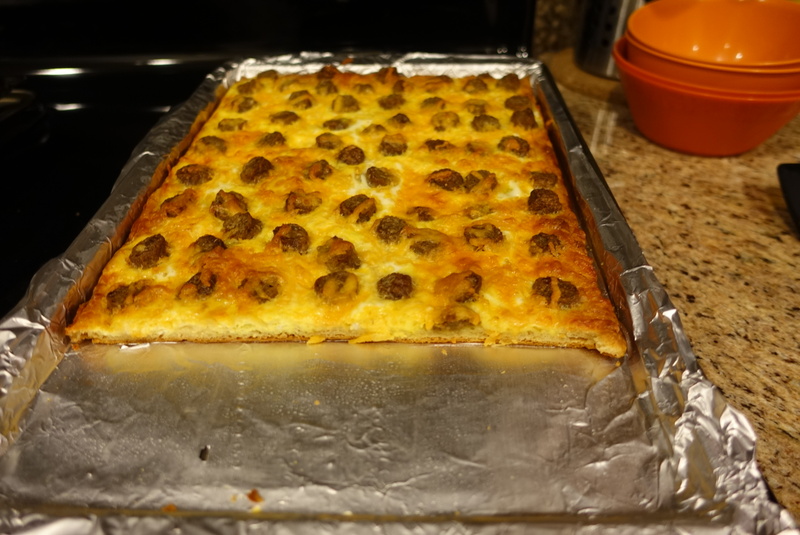 *Cover the crescent roll dough with either the sausage you previously cooked, or the broken pieces of frozen (says “fully cooked” on the package) sausage patties/links, as little or as much as you want. 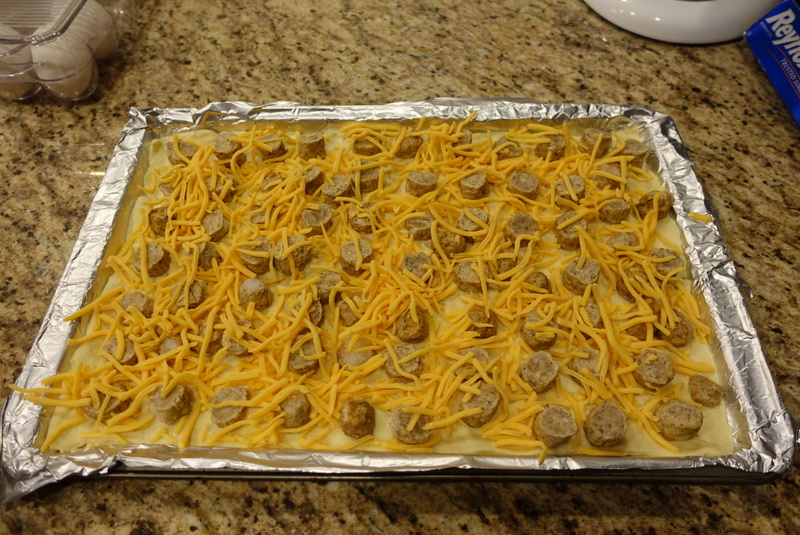 *Cover the sausage with the shredded cheddar cheese, again with as little or as much as you want. *Beat the eggs in a separate bowl, then pour evenly over the cheese. 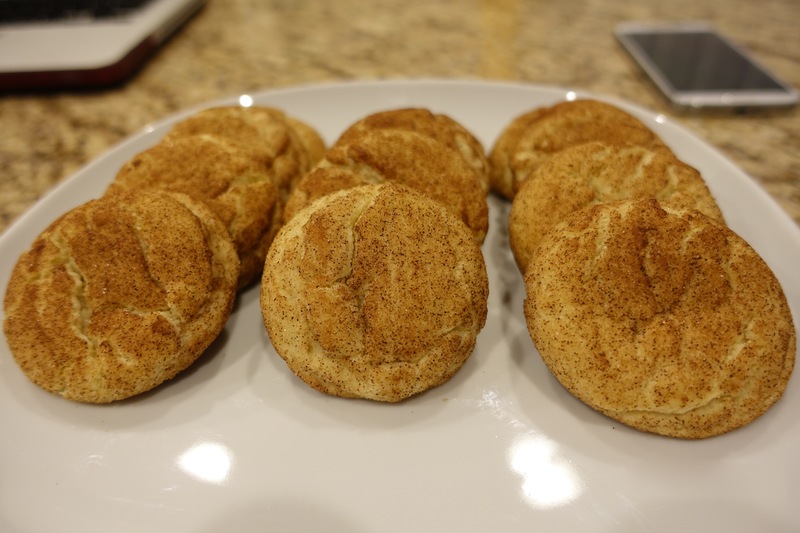 *Don’t let the egg mixture spill from the pan as you carefully place the cookie sheet on the center rack in the oven. *Bake for 25-30 minutes. Check it at 25 minutes to make sure it doesn’t burn. If it doesn’t appear quite done, let it bake for another 3-5 minutes. 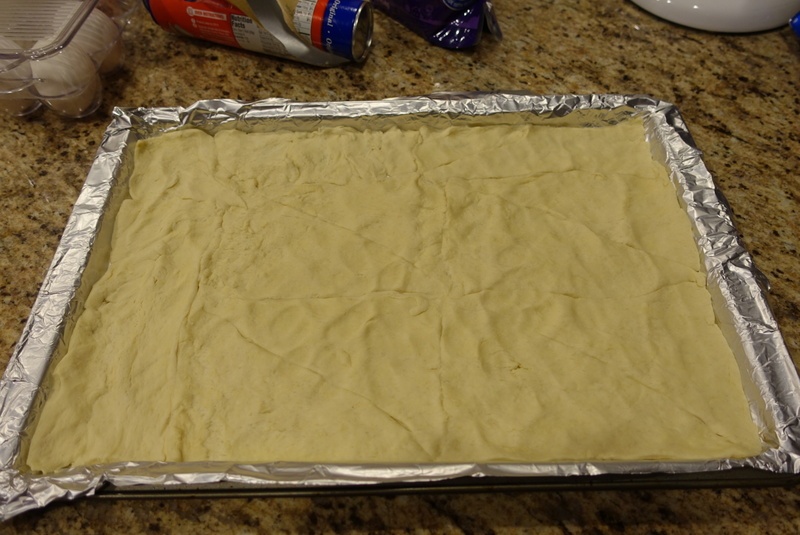 Remove from the oven when the edges/bottom are brown. Let it cool for about 5 minutes before cutting into squares with a pizza cutter/knife. Over the years I have shown everyone in my family how to make this. I’ve made it for a brunch that I hosted and people wanted the recipe there. 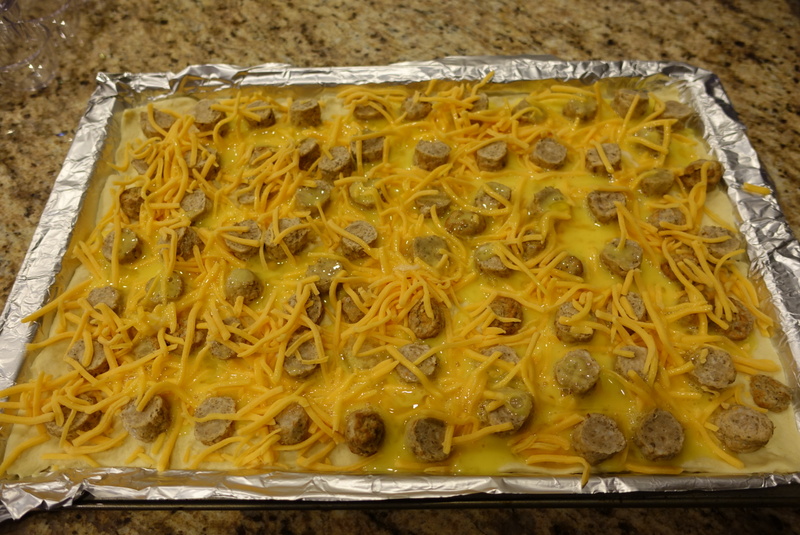 I’ve also made it for co-workers at our potluck breakfast years ago, and they also wanted the recipe. So people seem to like it, plus you can customize it to your family’s liking, adding veggies, a different cheese, a different meat, or even a meatless version. Think of it as a big omelet and make it your favorite way. —> Quick. Easy. Tasty. If you happen to try out the recipe, let me know how it turns out and add your picture in the comments. 🙂 Here are my pictures below. Pizzelles……I can’t remember when or where I first tasted them, but I have liked them since then. They are such light and simple cookies, just a nice little snack to go with your tea or coffee. 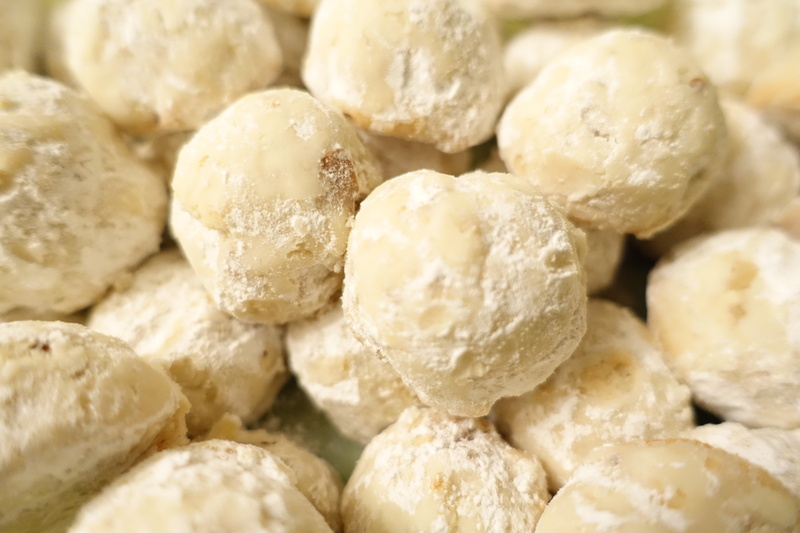 From what I’ve read about this Italian cookie, the original recipe calls for a flavor called anise, but I learned that some people I’ve made them for aren’t really crazy about that anise flavor. So, when I make them for myself, I use anise, but when I make them for anyone else, I use vanilla flavor. Then everyone is happy. I’ve even experimented once and added cocoa to make chocolate pizzelles with mint flavor and they were good too when I wanted a little variety. However, not all pizzelles are created equally. Once I had a craving for them but didn’t know how to make them at the time. So I searched for some while in the grocery store, found them, and couldn’t wait to get home to enjoy them. Oh the disappointment!!! I may as well have been eating a piece of paper. That’s how tasteless they were to me. Needless to say, the next time I wanted pizzelles, I found out how to make them. I found this pizzelle maker on Amazon because of course, Amazon sells EVERYTHING! Now I can make them anytime. The only “negative” is the pizzelle maker only makes TWO cookies at a time. When you compare that to other cookies I make at a dozen per cookie sheet at a time, it seems tedious to make pizzelles. However from what I’ve read, before pizzelle makers were invented they used to have a pizzelle iron to make ONE cookie at a time, while standing over the stove burner. So I really can not complain about the pizzelle maker that I use to make two at a time, right? You have to keep a really close watch on the time because they only take 25-30 seconds to make before they start to burn. So I use the timer from my iPod to check it at 25 seconds. The first couple that I made did not turn out right but I quickly learned to make the proper adjustments and felt like a pro by the time I finished the whole batch. Not that they turn out perfectly round, just that I can finish them without burning them. 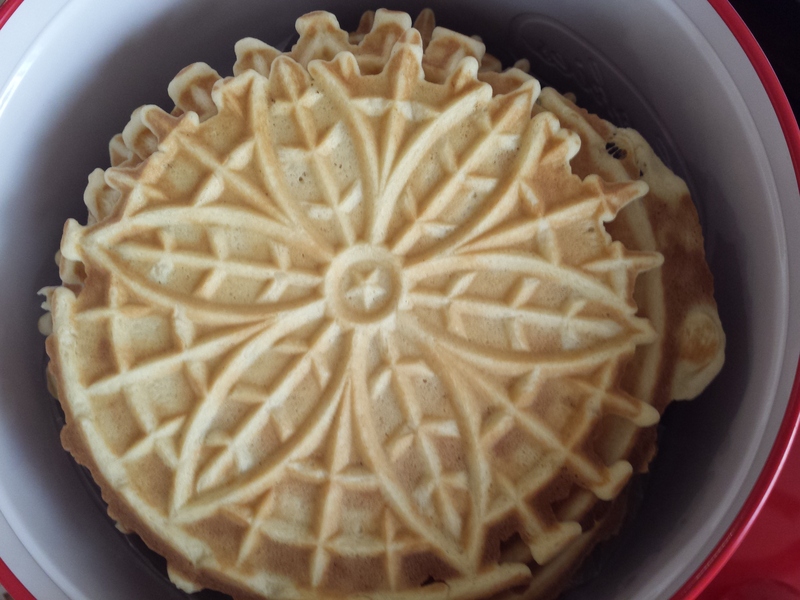 Here is the Pizzelle recipe that I use. I adjust the number of servings to half so I’m not up all night making them. 🙂 By doing half the recipe, I usually get about 30 cookies. For the best results, when you remove each cookie from the pizzelle maker, make sure you place them directly on a cooling rack so the air hits them on the top and bottom so that they can crisp up. (Is ‘crisp up’ the way to say it??) Anyway, you definitely want that snap in this cookie, not a soft one. 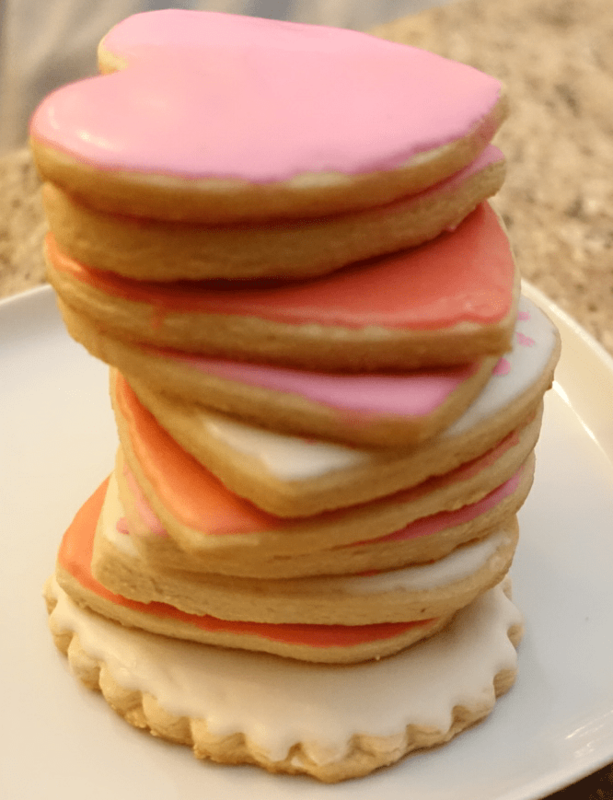 People usually give these cookies as gifts for Christmas, or, if you’re at a wedding in Pittsburgh, it’s part of the Cookie Table at the reception. But as I said, once you have the maker, you can make them anytime you want. I made these a month or so ago to give a friend to share with her co-workers. Which flavor would you like, anise or vanilla? What is your favorite Christmas cookie? 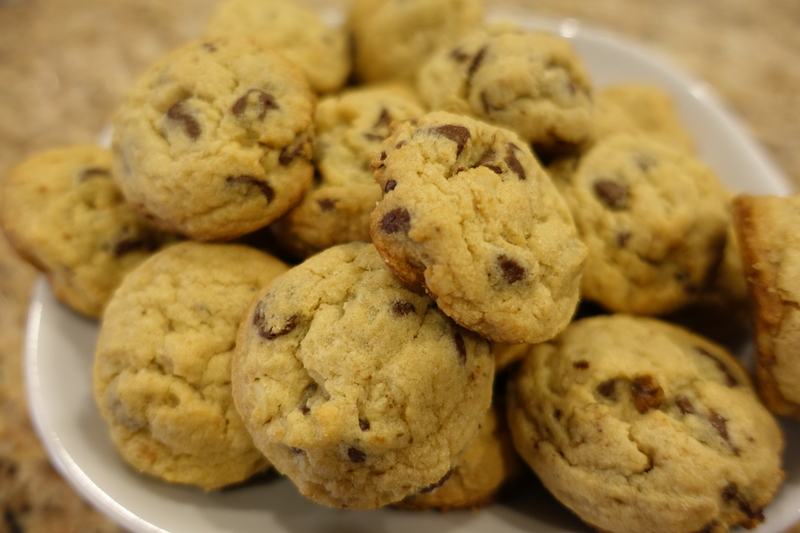 When I gathered all of the ingredients to make chocolate chip cookies today, I didn’t realize they would be bite-sized. 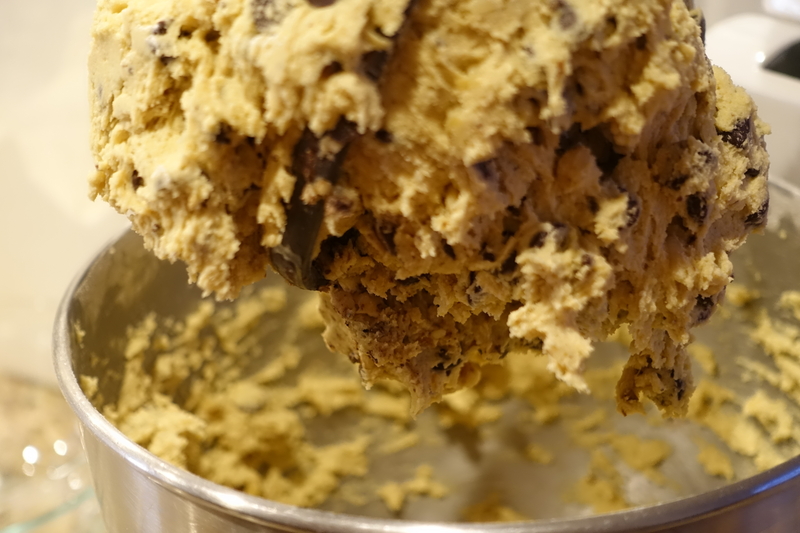 I have three different sized cookie scoops because I am not a fan of having cookie dough on my hands for the obvious reasons……less messy and more sanitary. I would say 98 percent of the time, I grab the medium size scoop for most cookies. I couldn’t get my hands on it before I grabbed a new one that I recently purchased. I baked my cookies and when I removed them from the oven, I noticed how small they were immediately. The funny thing is when I put them in the oven, I didn’t pay any attention to them, figuring they would expand during baking anyway. But noticing the smaller size, I starting thinking “Did I miss an ingredient? Did I forget to add the baking soda? Did I measure incorrectly? You know, the questions a new baker might wonder. I’ve been doing this cookie-baking thing for way too long to make that kind of mistake, if that was what I did. But I reviewed it all in my mind and everything was there and measured correctly. Why are these cookies so small? I compared the two scoops and found the “problem”. The new scoop was smaller!! So I ended up with bite-sized chocolate chip cookies. Less calories, less guilt, still tasty! If you make them, let me know how they turn out. So, I have been in search of a good oatmeal cookie recipe. I usually use the Quaker Oats recipe from the inside of the lid of the oatmeal container. But they seem dry to me. My search was for a more moist recipe. I found this one in a book titled “Cookies, 60 delicious recipes” by C. Bardi while roaming down the aisles in the Tuesday Morning store. Anything that says ‘cookies’ catches my attention and the book is round like a cookie so I had to at least look at it. 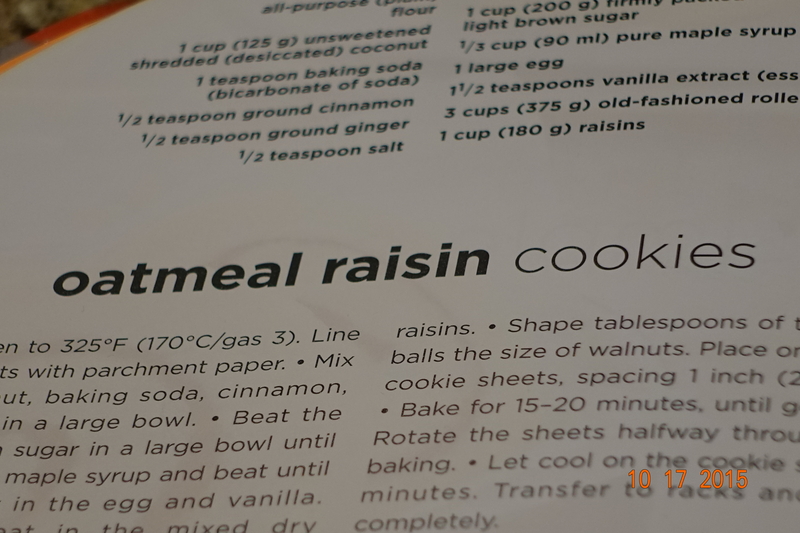 🙂 When I found a recipe for the oatmeal raisin cookies, I decided to give it a try. I only tasted one and I liked, but I was making them for my niece and sent the rest of the cookies to her. 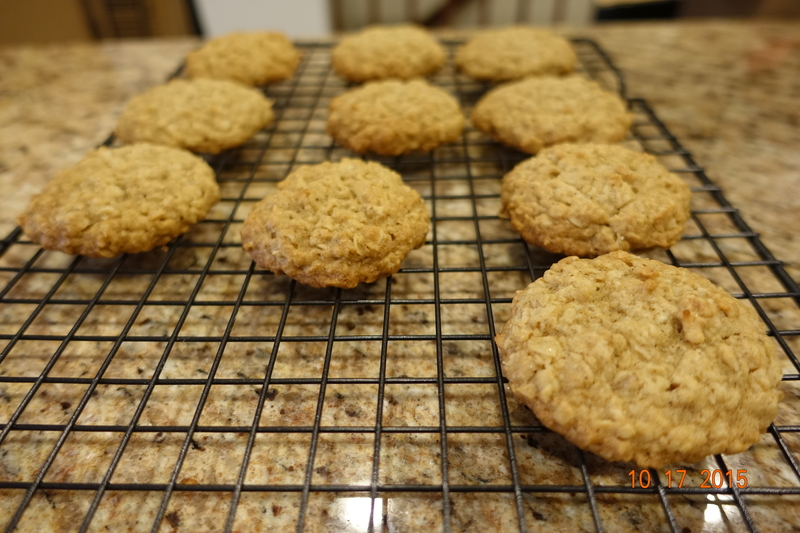 Her family liked them so I will keep that recipe in mind whenever I need to make oatmeal cookies again. 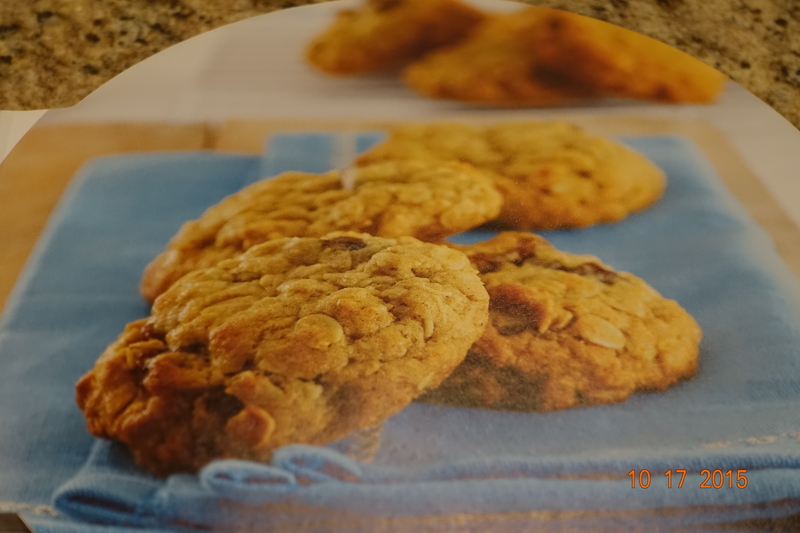 Author: C. Bardi, Title: Cookies, 60 delicious recipes. This is how mine looked like after trying their recipe. The only change was I did not use raisins.